Whidbey Island and the surrounding Puget Sound is world renowned as one of the greatest places on earth to view whales in their natural habitat. Orcas, Grey Whales, Mike Whales, Porpoises, and other species can all be viewed on the tours operated by local Whidbey Island Whale Watching Tour Operators. Mysterious in mist or sparkling in sunshine, the Salish Sea and the San Juan Islands are always changing and always beautiful. Come aboard the classic 100ft. 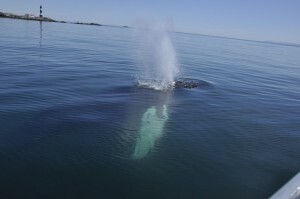 Mystic Sea for our guaranteed whale watch and wildlife cruise and enjoy a fun and relaxing day on the water. Learn about the history, lore, and hidden nooks of this unique area from our friendly and knowledgeable crew, and make memories for a lifetime! 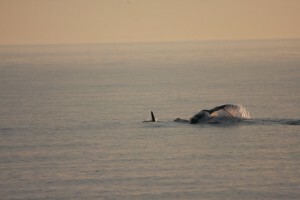 We explore 30-40 miles on our Gray whale watch cruises and 80-90 miles on our Orca/Humpback whale watch cruises. We have a spectacular array of wildlife that migrate into these calm waters at various times and stages throughout the year; everything from Bald Eagles and Puffins, to Pacific White-Sided Dolphins, Dalls Porpoises and Alaskan Steller Sea Lions. We have several different types of whales in addition to the 85+ Resident Orcas, including Minkes, Humpbacks, Gray Whales, and Transient Orcas. . . the true killer whale! Captain Brett is a U.S. Coast Guard certified captain and would like to share this exciting and picturesque setting with you, while exploring the shores and waters of the surrounding area. Take a unique ride on a seated open deck boat and enjoy a 360° unobstructed view as we pass through the waters of Deception Pass on a one hour tour. Also, look for wildlife such as bald eagles, seals, porpoises and maybe an occasional whale. We may not have Nessee or Champ, but we have the world’s largest Pacific Octopus. Learn the tales of characters who navigated these waters and the splendor of this National Historic Landmark.Before this landmark was built, travelers had to cross on an unscheduled ferry. To summon the ferry, passengers would simply hit a mallet against a metal lumberjack saw which sounded the “BOING” to the operator. This indicated they were ready to cross, and the first woman ferry boat captain in Washington would pick them up.Today, riding through the pass is much easier, tickets can be purchased for Deception Pass Tours at the ticket booth in the parking lot at the south end of the bridge. Because of our very high success rate, Island Adventures was one of the first and only companies to guarantee whale sightings on every tour—but it’s our team of highly qualified crew that will make your trip unforgettable! We boast over 100 years of combined experience in the islands, over 6,630 wildlife tours conducted, and have led excursions for over 270,000 satisfied guests. The San Juan Islands provide one of the best whale watching opportunities anywhere in the world, offering calm waters and a huge variety of wildlife which includes our three pods of resident Orca whales. If you are visiting the northwest or are lucky enough to live here, don’t let this opportunity pass you by!